Navy review finds “inconsistencies” in cleanup contractor’s radiation data and says a good portion of it is likely fraudulent. The Navy has decided to retest all of the Hunters Point Shipyard for radiation after losing confidence in Tetra Tech, the contractor it hired to clean up contamination. A yearlong review of Tetra Tech’s radiation data by Navy consultants found that nearly half of it may have been faked. The consultants found inconsistencies in Tetra Tech’s test results and the Navy said that a good portion of it is likely fraudulent. 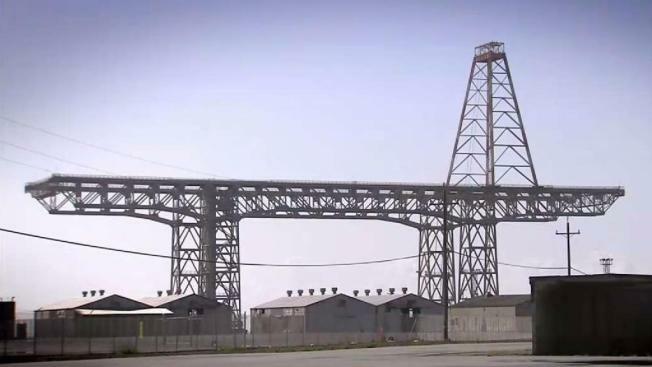 The revelations are the latest setback for the shipyard, the superfund site along San Francisco’s southeastern waterfront that’s slated for major redevelopment, including homes, parks and shops. The Navy awarded Tetra Tech at least $250 million in taxpayer dollars to rid the shipyard of radiological contamination left over from Cold War era-radiation experiments. Tetra Tech spent 12 years on the project, but half of the cleanup is now in question. 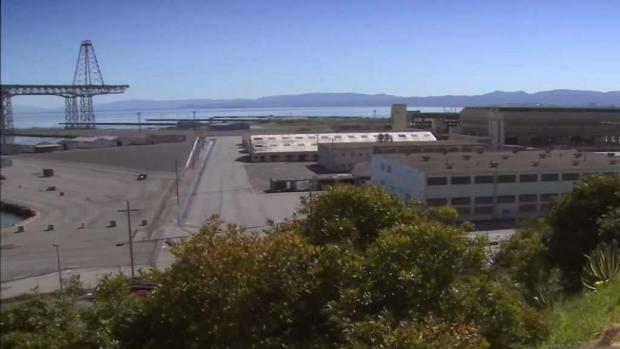 The Navy has decided to retest all of the Hunters Point Shipyard for radiation after losing confidence in Tetra Tech, the contractor it hired to clean up contamination. Investigative reporter Liz Wagner reports. Tetra Tech declined to comment, referring all questions to the Navy. At the onset of the cleanup more than a decade ago, Navy officials divided the 900 acre shipyard into separate parcels. On several parcels, up to 67 percent of the cleanup data may have been falsified. That means some of Hunters Point could still be contaminated with radiation. At this point the Navy doesn’t know if the land is safe. Officials said the Navy must now redo all of Tetra Tech’s work, which may include excavating and sampling the soil, and scanning the land for radiological contamination. When asked how the Navy allowed the cleanup to spin so far out of control, Robinson blamed Tetra Tech. NBC Bay Area first exposed that in 2012 the Navy caught Tetra Tech mishandling soil samples and falsifying data at the shipyard. A subsequent investigation by the Nuclear Regulatory Commission found that employees “deliberately falsified soil sample surveys.” The company later cleaned up areas still contaminated with radiation and retrained workers. That was supposed to be the end of it. Then former workers came forward to NBC Bay Area alleging widespread fraud. At least seven former workers, including one high level supervisor, detailed ways they say Tetra Tech botched the cleanup. Anthony Smith, a radiation control technician, claims his bosses at Tetra Tech ordered him to falsify radiation data, put contaminated soil back into the ground and switch contaminated soil samples with clean ones, all he says to conceal the extent of radiation at the shipyard. The Navy said the allegations by whistleblowers prompted the full scale investigation into Tetra Tech’s past activity. The data review showed evidence of sample switching, Robinson said. The new developments are a vindication for whistleblowers, locals and the community group Greenaction, who for years have been calling for a complete retesting of the site. Last summer Greenaction filed a petition with the NRC to revoke Tetra Tech’s license. Federal regulators said they’re reviewing the request. The U.S. Environmental Protection Agency has ordered a halt on all transfers of land from the Navy to the City of San Francisco. In an interview with NBC Bay Area in 2016, San Francisco Supervisor Malia Cohen said the city would not accept any more land at Hunters Point until regulators can prove it’s clean, safe and suitable for development. One parcel of land, a utility corridor known as parcel UC2, has already been turned over to the city. The Navy found 75 percent of the data it reviewed on UC2 is questionable. The master developer of the shipyard, FivePoint – a spinoff of Lennar Corporation – has already built condos at Hunters Point. Navy officials and state and federal regulators continue to say that area is safe. It’s unclear how long this scandal will delay redevelopment at the shipyard, one of the largest projects in San Francisco history. Robinson said the Navy is preparing a work plan for retesting. He said he expects boots on the ground by the summer.